Complete with Log Store, the Ethos 400 Stove is both beautiful and functional combining the hallmarks of Ethos design, engineering excellence and a dedication to providing the very best. Quite simply Ethos 400 won’t disappoint. With an efficiency rating of 81%, available as a free standing option and with a choice of interiors this natural gas stove ticks all the boxes. 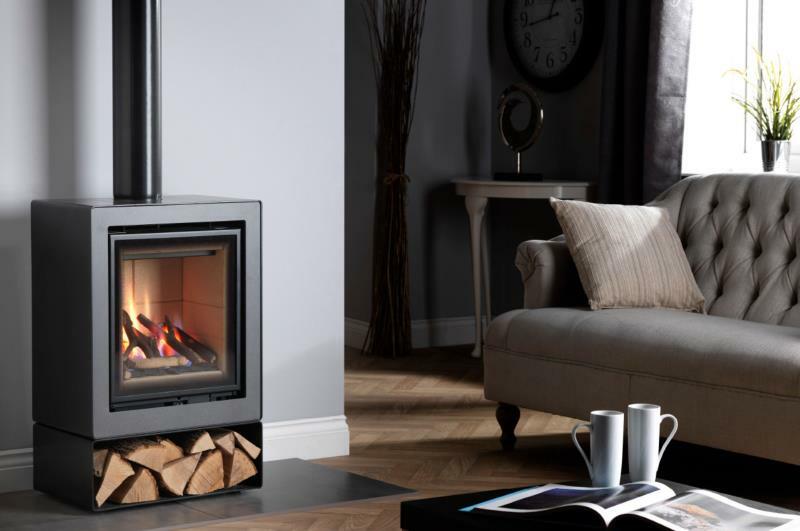 With stunning good looks guaranteed Ethos 400 sits comfortably in a fireplace or freestanding setting. It comes complete with full sequential remote control so you can sit back and enjoy. Ethos 400 is suitable for Flue Type Class 1 or Class 2 and will fit into a 5 inch Twinwall or 7 inch Copex.